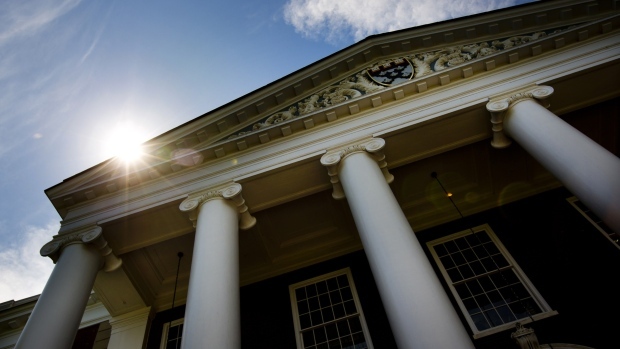 (Bloomberg) -- Harvard University selected former hedge fund manager Timothy Barakett and California Supreme Court Justice Mariano-Florentino Cuellar for its 13-member governing board. Barakett closed his hedge fund, Atticus Capital LP, in the aftermath of the global financial panic in 2010. At its peak, the fund had $20 billion in assets. Since it shut he has been overseeing his family’s money at TRB Advisors. He played a prominent role in Harvard’s fundraising campaign that ended last year and is an alumnus of both the university and the business school, according to a press release Monday. Cuellar became a justice on California’s supreme court in 2015 and has an undergraduate degree from Harvard. He went to Yale University’s law school and also has a master’s of political science from Stanford University, according to the release. The university’s main governing board is called Harvard Corp. It consists of 13 members including the president of the school and oversees the institution’s operations.